Ananda Bhante Visits the U.S.
Ven. 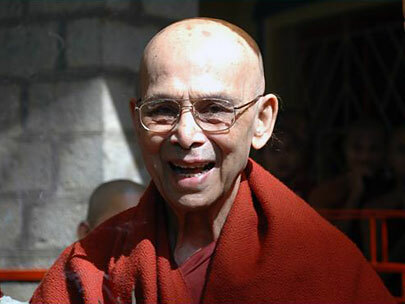 Bhikkhu Ananda was ordained as a Theravada Buddhist monk in 1986 by Ven Acharya Buddharakkhita of Maha Bodhi Society, Bangalore. He is currently General Secretary and directly involved in the many spiritual and social services programs they have developed. He is a head teacher at the Mahabodhi Monastic Institute. Also he travels extensively to Europe teaching meditation and doing discourses. We are fortunate that he will be visiting the U.S. for the first time from April 29 – July 23, 2017 offering programs at meditation centers, schools, temples, church groups, etc. This is an extraordinary chance to meet this experienced Dhamma teacher. Maha Bodhi Society, Bengaluru, India has organized Buddhist Meditation Courses conducted by monks, from August, 2016 to March, 2017 at Maha Bodhi Meditation Center near Bengaluru, in a serene surrounding with good facilities. All the courses are residential courses ranging from 5, 7, 10 and 26 days. All the courses are absolutely free of charge. CLICK HERE for the schedule of courses and registration contact information. We welcome you to participate. The Karuna Medical Center project has been planned to build and run a medical center purely on charitable lines. It will be absolutely free for rich and poor, based on the noble intention of offering Arogya dana – gift of health. In the modern times even health, the basic need of a human being, is sold for money. Though in a humble way, this medical center will serve everybody and give the gift of health totally free of charge to uphold humane qualities. We welcome one and all to support and be part of this noble cause. CLICK HERE for more information. We sadly inform you that our most respected Venerable Acharya Buddharakkhita, founder of Maha Bodhi Society, Bangalore, passed away on Sept. 23, 2013 peacefully at Maha Bodhi Society. He had a stroke 3 months ago followed by a complicating lung infection. He was 92. His loss will be deeply felt and his many humanitarian projects begun in 1956 will continue in India. Ven. 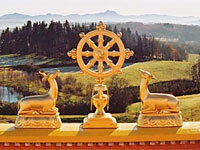 Buddharakkhita, Bhante, was truly a man of compassion, action and inspiration. Wherever he perceived a need, he acted. And his thoughtful enthusiasm and strength of commitment to help those in need was contagious. He provided spiritual service through his many writings, teachings and lectures and the development of the monastery in Bangalore. His humanitarian works include the construction of 4 hospitals, a burns/casualty clinic, a prosthetic limb program, and other medical projects. 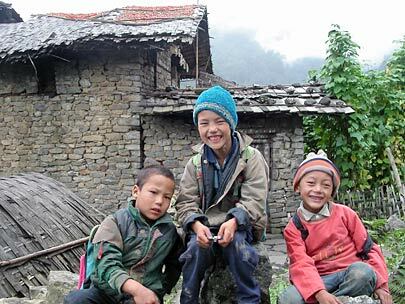 Schools were established in various states of India, providing an educational program that nurtured moral character while providing a good education to children whose families had limited resources. 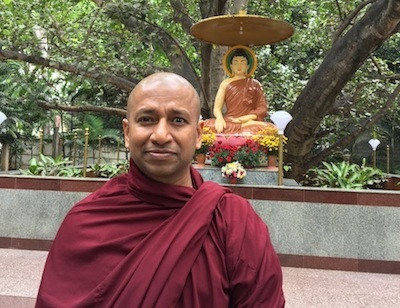 Last year Bhante sent a request to our U.S. organization to see if funds could be raised to help with his final project: the Mahabodhi Karuna Hospital. His desire was to develop a rehabilitation hospital, unknown in that area, to provide treatment and support to the disabled without regard to ability to pay. There is clearly a tremendous need in India, with so many living in poverty and a lack of healthcare. Construction began last year and it is expected that treatment and therapies will begin in 2014. Funds are needed for the equipment and construction and development of therapeutic programs. We respectfully ask that those who have benefited from his many books, lectures, guidance, and teachings consider helping to complete Bhante’s final humanitarian project. Any donation is gratefully welcomed. The full amount of all donations contributed to the Mahabodhi Karuna Hospital project through MMCF will be sent on to Bangalore for that purpose. Bhante spoke of viewing life like a walk though a garden. And he wanted to leave the garden a sweeter place for having passed through. He has truly done so. May we all use his inspiration to enrich the world around us. Although the site is not yet complete, there is a lot of information here, with a great collection of photographs so you can see the happy faces and beautiful homes of those who benefit. There is always much work to be done and, with your help, MMCF will be able to contribute in a grand way to getting it done. With your help, the world will honestly and truthfully become a better place. There IS something that you, and you alone, can do. If enough of you do it, it becomes, not a small thing, but a huge thing that cannot help but have a gigantic positive impact on the world … everywhere … and on everyone!